The Stoney Nakoda Nation is in Alberta, Canada. The Stoney Nakoda Nation or Tribe is made up of the Bearspaw, Chiniki and Wesley First Nations. Each of our First Nations was represented at the Treaty No. 7 negotiations with the British Crown in 1877. Most of the approximately 4,000 Stoney Nakoda Nation members live on our Reserves in southwestern Alberta, at Morley, Rabbit Lake, Eden Valley and Big Horn. The largest group of Stoney Nakoda Nation members lives at Morley, which is located on the Bow River between Calgary and Banff. 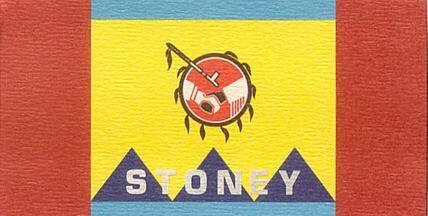 The Stoney Tribal Administration is also located at Morley. The Rabbit Lake Reserve is nearby, to the northwest of Morley. The Eden Valley Reserve lies some 100 kilometres to the south, near Longview. The Big Horn Reserve is located approximately 100 kilometres north of Morley, not far from Nordegg, on the Big Horn and North Saskatchewan Rivers.